Categories: Adi Shankara, Dharma, Guru, India, Social-Education, Spirituality. August is “back to school” month in the USA, as children everywhere prepare to begin a new school year. School and college education play a very important role in today’s world. And especially among Indians, it forms the very fabric of life and is often the pivotal element around which an entire household’s energies, moods and fortunes revolve. Schools today tend to focus primarily on teaching the skills needed for students to eventually lead a life of comfort, wealth, and even power, in the world. Little emphasis, if any, is given to moral and spiritual values as these are not considered to be in the realm of necessary basic education. 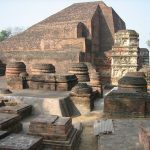 On the contrary, the “Gurukulam” education system of ancient India was far more advanced and much more complete and effective as a system that took care of the all – round development of the individual; not only teaching him professional skills to live in the material world but also giving equal importance to learning to lead a life of dharma and further, sowing the seeds for spiritual growth and fulfillment of the very purpose of life – treading the path to God Himself. In a gurukulam, the students lived for years with the teacher (the “guru”) and his family, until the completion of their education. The guru did not get any money or payment from the students during their stay in the gurukulam, and even the guru dakshina taken at the completion of the education was dependent on the student’s means and ability. At the gurukulam, the students learned the skills needed for their particular professions such as weaponry, horsemanship, trade, agriculture, etc. 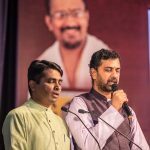 They also studied the shastras including the Vedas, Upanishads, Puranas and how to apply the messages of these exalted scriptures to their own lives, and absorbing the dharmas they laid down for every person’s particular walk of life. While staying under one roof, the students learned values like respect for others, discipline, equality, humility and service. They were taught the means to spiritual enlightenment, the highest knowledge that a guru can impart to a disciple. The guru took complete responsibility for the student and cared for him as if he were his own son. The guru provided food and shelter for the students, who served the guru and his family through daily chores like cooking, cleaning, fetching firewood, washing clothes, and more. 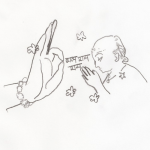 Serving the Guru (seva or kaink-aryam), which is considered the highest form of service in our scriptures, was thus an integral part of the student’s education. This is the beauty of the guru-sishya (disciple) relationship in the gurukulam system. Even Bhagavan Himself, when he came down as an avatara like Lord Rama and Lord Krishna, went under the tutelage of a guru and performed guru seva. In Srimad Bhagavatam there is a verse which extols this relationship: “Guror anugrahenaiva puman purnaha prashantayae”. Sudama and Krishna met each other at Sage Sandeepani’s gurukulam and became thick friends. In later years, Lord Krishna became the king of Dwaraka while Sudama was steeped in poverty. Yet both of them enjoyed constant peace of mind and tranquility. Lord Krishna tells Sudama, in the above sloka, that it is verily due to the benediction of their Guru Sandeepani, that despite their outer circumstances, both of them continue to enjoy that invaluable peace of mind. 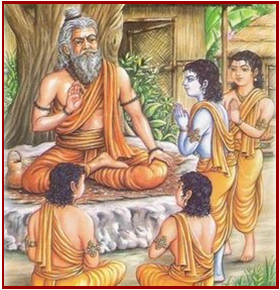 In the same context, while speaking of their guru’s greatness, Krishna tells Sudama that it was only because of their guru’s blessings that he remembered whatever he had learned at the right time when he needed it. 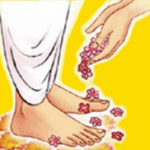 The most important and key element of the gurukulam system is the opportunity for guru seva, for there is nothing that a guru’s grace cannot bestow. 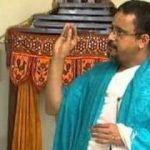 An uttama Guru’s grace can bestow the very abode of the Lord – chintAmanir loka sukham, suradruhu swarga sampadam, prayacchati guruhu preeto, vaikuntam yOgi durlabham (Srimad Bhagavata Mahatmyam) – what then to speak of wealth, comforts or scholarship? Giri was a disciple of Sri Adi Shankara Bhagavadpada. Though Giri was a dull student, he spent most of his time serving his guru in all possible ways with utmost dedication and devotion. One day Adi Sankara was about to expound on one of the difficult philosophies in the Brahma Sutras, but as Giri was not yet back from washing clothes on the river, he waited for him. When the other disciples realized that their guru was waiting for Giri, a dull wit who would not be able to understand the subtleties in the verses anyway, they smirked. The guru was moved with compassion for his poor disciple and blessed him with all his heart. At that moment, Giri, who was far away on the river bank, was suddenly illuminated and composed an extraordinary set of verses called Thotakashtakam, by the grace of his guru. Later he became a great acharya, called Thotakacharya. In fact, Lord Krishna himself states in Srimad Bhagavatam that no amount of yoga, tapas or austerity would lead one to happiness and it is verily the service to Guru that would usher happiness. Hence the gurukulams of ancient India, with their focus on the fully-rounded growth of the student, and most importantly, with Guru Seva as their foundation, were indeed impeccable systems of education.